These beautiful PERLAVITA beads are made in the our pezzato (pieces) of gold and silver technique our "Tiny Bubbles" line. The bead peridot Murano glass over .925 sterling silver and 24kt gold foi. This bead shows the differences the two metals make in our color palette. The gold makes the color warmer and the silver makes it sharp and crisp. The insert is Vermeil, gold plated sterling silver. 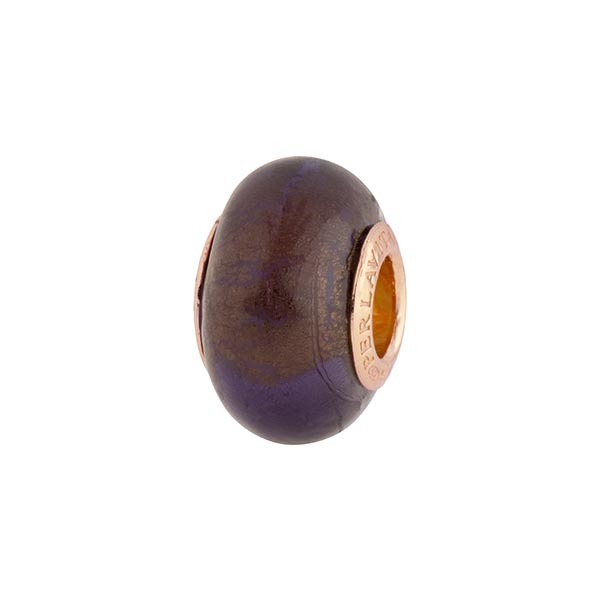 The size of the hole is about 4mm and the bead is about 13-14mm in diameter. This will fit most popular bracelet systems. The color of this one is our blue inchiostro which is a plum, amethyst color and over the gold foil is a more topaz color. It is dark.